Asad Amanat Ali Khan Pakistani Classical Music Singer. He was born on 25 September 1955. He was a popular Classical Music and Ghazal singer from Pakistan, he belonging to Patiala Gharana. He was son of Musician Ustad Amanat Ali Khan. He was great Punjabi Music Singer, he create great name in Punjab Folk Music and he is Best Ghazal Songs Artist. 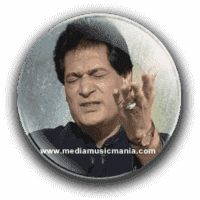 He started his musical career performing "Thumri". One of the songs that featured in almost every concert he performed was "Insha Ji Utho". He sung lot of songs and worked for Pakistan Television for several years. He is very popular due to his great talent, and he was well known and famous among masses. He sung many Albums and he enriched the world of Pakistani Classical Music and enthralled the audiences with his masterful artistry. Asad Amanat Ali Khan died relatively young of a heart attack on 8 April 2007 in London. He was Ustad of Classical Mousiqui and he has sung Punjabi and Urdu Super Hit Ghazals, Folk songs and Historical Memorable Music of Pakistan, he sung in open Mehfils and he was famous Artist of Radio Pakistan and Pakistan Television about types of folk song. He started singing in the age of 10 years, which featured on his grandfather’s debut album. He joined a private institution however and began singing professionally after completing his Intermediate Education. I have selected below most popular Classical Music of Asad Amanat Ali Khan.